You've set up an eCommerce store, and you're getting a few customers every now and then, but the kind of sales you're making right now just aren't enough to keep you afloat. So naturally, you're going to need a plan to increase your eCommerce sales. 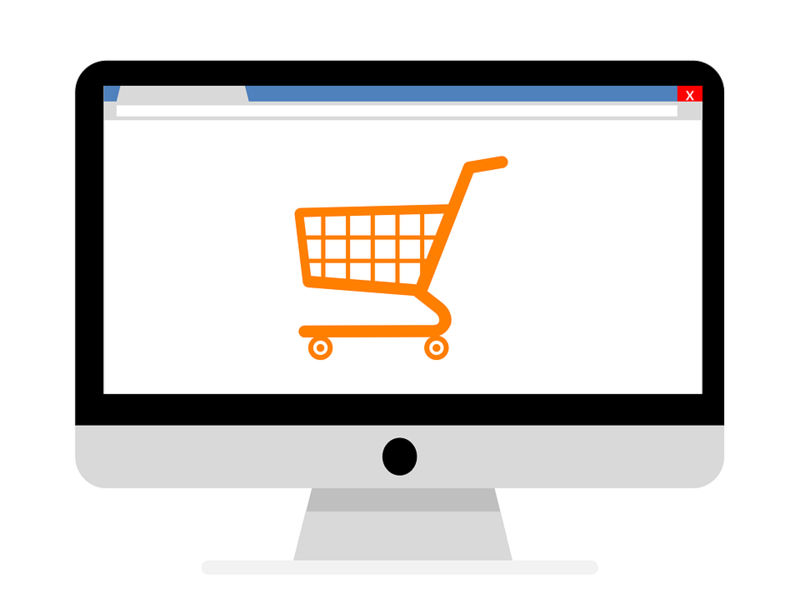 Here's a step-by-step guide to help you develop an effective eCommerce sales strategy. If you have an eCommerce business, your website is your storefront - if you want to increase sales, you need to make sure people can easily find what they need on your website, and that they can then complete their purchases as quickly, and as easily, as possible. That means your eCommerce sales strategy should begin with optimizing your website for conversions. Unlike a brick-and-mortar store, eCommerce stores don't have sales reps to assist customers with their purchases. This can often result in loss of sales opportunities because shoppers can't find the answers to their questions. But you can now provide real-time support to your shoppers using live chat. Try adding live chat help on your site to answer customer questions, and reduce any uncertainties they may have instantly. More shoppers will make a purchase once you help remove their doubts. For Jerome's Furniture, live chat played a huge role in converting their online customers. Their conversion rate increased tenfold, and their conversion rate among customers who used live chat was 1000% higher than those who didn't. Your website should be easy-to-use and navigate. People should be able to find what they need without having to search too long or hard for it. You should arrange every element on your site in a structured, intuitive way. Also be sure to include a clearly visible search bar to enhance usability. Your checkout process should be simple, with as few steps as possible. You want to make sure people can complete their purchases before changing their minds or getting frustrated. Provide guest checkout options, and enable social login and sign-up options. Reduce the number of form fields to collect only the most important details about your customers. And make sure you include a progress indicator so people can see where they are in the checkout process. Win the trust of potential customers by including user-generated content (UGC) on your homepage or product pages. Reviews and ratings are essential, but you should also try to collect user-generated visual content, like images of customers wearing or using your products. You can collect customer-generated images through social media, and display the best ones on your website as social proof. According to Statista, there are currently 2.5 billion social media users around the world. This makes it an excellent platform to promote your eCommerce store, and attract a relevant audience. Influencer marketing has taken the world by storm - and for good reason. Influencers. especially those on social media, have thousands, and sometimes even millions of followers who look to them for advice regarding the niche in which they specialize. You don't need a huge marketing budget to reap the benefits of influencer marketing. You can activate your own fans and followers into a community of ambassadors who will echo your voice, and drive measurable traffic and sales. You can also use social media to display targeted ads to a relevant audience. This is particularly important if your store is yet unknown, and you need to attract a new audience that's likely to take interest in what you have to sell. Here's an example of a sponsored Facebook post from Neiman Marcus. Your customers are your best advocates, and people trust recommendations from real people more than those from marketers and brands. Encourage your customers to share their content for a chance to be featured on your website. Assign a unique hashtag for each product, for a special occasion, or for a contest. They'll be helping to promote your brand, as many of their followers may be intrigued to check out your store after seeing the customer photos. Even after you manage to attract more social media followers, many of them may still refuse to visit your store. Of course, this could be because they're just not interested, but it may also be because they're not willing to go through the hassle of leaving the social media platform just to visit your site. If you want to make more sales, you need to make it easier for consumers to buy through social media. Instagram is an effective platform for engaging an audience, but there is a disadvantage when it comes to links. You can't link to a product page for each photo you post, you can only add one, single link, in your profile bio. 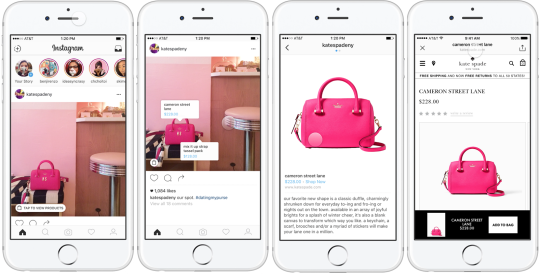 One way to get around this is by using the 'link in bio' reference in your caption, and keeping your link tied to each campaign, but there are also social shopping tools like Scoutsee, which can make Instagram shoppable. With Scoutsee, you can create your own storefront, and customers will be able to buy products directly from the gallery. You just need to add the link to your storefront to your Instagram bio. Also worth noting - Instagram is currently testing out Shopping Tags in images which will eventually make it easier to sell directly on the platform. Buyable Pins on Pinterest can also help you drive more conversions. Pinterest users can view the details of the product, such as pricing and stock availability, within each pin. And if they want to buy it, they just have to click on the, "Buy Now," or, "Add to Bag," button to complete their purchase with just a few clicks. Don't forget to also include personalized emails in your eCommerce sales strategy. You can then send out an occasional retention email with personalized product recommendations to existing customers. Or you can even send out emails to remind shoppers about the items left abandoned in their carts. These are the four essential steps you need to take to develop an effective eCommerce sales strategy. If you have any questions about these tips, let me know in the comments below.